A loan of $775 helped to buy a cord of onions. Julio, 54, is in a common-law marriage, has a three-year-old son, and lives with his family in the department of Sololá. He says that he buys and sells vegetables. 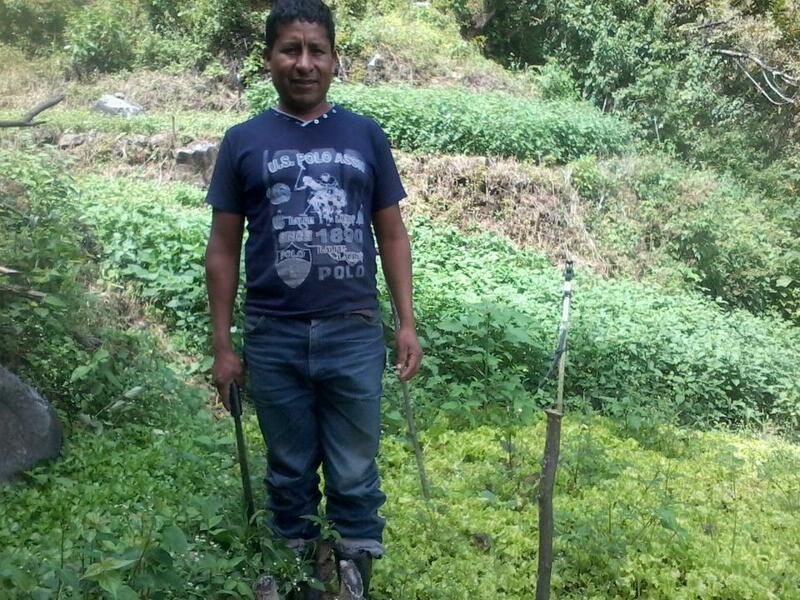 He pays per cord (0.0715 hectares) for the vegetables and later sells them by the quintal in the Sololá market. He has been operating his business for 15 years to generate cash to pay household expenses and says he is happy with his work. He also farms, and that income supplements the family budget. So Julio has applied for a loan of Q 6000 to buy a cord of onions. His biggest dream is to buy more farmland. Julio tiene 54 años de edad, está en unión de hecho, tiene un hijo de 3 años de edad; el vive junto a su familia en el Departamento de Sololá. Comenta que actualmente tiene un negocio de compraventa de verduras; la verdura la compra por cuerda (0.0715 hectáreas) posteriormente la comercializa por quintales y esto lo hace el mercado de Sololá. Realiza esta actividad porque le genera ingresos inmediatos para cubrir los gastos familiares. Tiene 15 años de estar realizando esta labor y cuenta que se siente muy feliz de estar haciéndolo .Además de esta actividad también se dedica a la agricultura, y los ingresos de esta actividad complementan su presupuesto familiar. Es por ello que está solicitando un préstamo de Q 6,000.00 para la compra de una cuerda de cebolla. Su mayor sueño es adquirir más terrenos para cultivar. ADICLA (Association for the Holistic Development of the Basin of Lake Atitlán) is nonprofit rural community development association that provides small loans and services to improve quality of life in two of the poorest regions of Guatemala, home to large indigenous populations. Kiva funding will be used to support three innovative credit initiatives: youth business loans, green loans, and smaller loans to help ADICLA move down-market and serve poorer clients. ADICLA is a rural, community-based organization operating in the area around Lake Atitlán, in western Guatemala. ADICLA’s borrowers are mostly indigenous Guatemalans living in rural areas. These members also help run the organization by sitting on its board of directors. ADICLA shares Kiva’s focus on social impact, having conducted rigorous self-evaluations in recent years in an effort to improve its social performance and move toward targeting poorer borrowers. ADICLA is interested in piloting several innovative new products with Kiva, including green loans and loans to youth entrepreneurs for start-up businesses. Kiva is proud to be pushing the frontier of innovation through its partnership with ADICLA.